So what – about eleventy billion people saw the ball drop in NYC on NYE? In addition to the 2,668 custom-cut Waterford Crystals from which the ball is created, The Ball is programmed with approximately 3,140 Light Cues and 50,000 video images over 360 minutes. Its approximate operating wattage is 28,000w, which is equal to 18 hair dryers, and it’s powered by 32,256 Philips Luxeon Rebel LEDs. The Ball’s Principal Lighting Designer was Paul Gregory; Project Lighting Designer was Christine Hope, and the Lighting Programmer was Jeff Shepherd. Great job, folks. 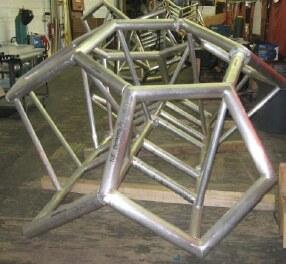 – The Times Square Ball is composed of 2688 individually illuminated custom-cut, crystal triangles. Each triangle is backlit by 12 LEDs – three each of red, green, blue, and white. That makes a total of 32, 256 LEDs. 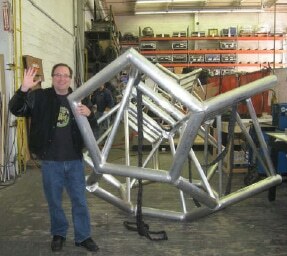 – The crystal triangles are divided into groups of four fixtures to make up 672 modules, or “Main Triangles”. Each module consists of an LED circuit board, a reflector to separate the triangles and multiply the individual points of light, and the four crystals. – The ball receives 10872 individually controllable channels of data, each with 256 unique settings. Every small triangle consists of four channels: one each for red, green, blue and white. This means that, theoretically, it is possible to create over 4 billion colors-far more than the human eye can distinguish! – The ball uses the DMX-512 lighting control protocol, which can handle up to 512 channels per “universe” of data. – The ball is divided into 18 hexagons and 12 pentagons, and each one gets its own DMX universe. 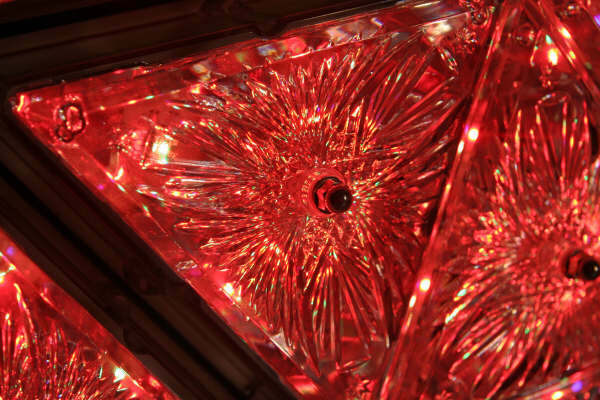 The Times Square Ball is controlled using a progressive lighting control system. The software development team devised a custom show file that allows designers to interact intuitively with the ball and utilize real-time 3-D visualization. – Video and static images can be mapped to the ball simultaneously with a wide array of effects. The software can play up to 24 lighting cues at a time, and there is no reasonable limit to the number of cues a show can store. – All control system hardware is 100% redundant. In the event of a lighting server failure, a backup server stands at the ready to immediately take over without the slightest hiccup in show playback. Running the ball on New Years’ Eve will almost be a completely hands-off operation. The same signal that controls the cameras, conventional lighting, and sound on the big night will trigger the cues on the Times Square Ball. This ensures that everything will be in perfect sync when the clock strikes 12. Thank you for sharing, Focus Lighting! Ariel, you are great! Previous articleNeed an LED Replacement for a T-8 Fluorescent? Their an amazing company, I had an interview with Ariel and Paul this month while I was in New York. Ariel was extremely helpful, she gave me a list of locations around New York that was worth a visit for it’s architecture and Lighting, had some interesting locations.